The old sill and rotten wood is removed from the frame and I packet in the parts of the frame that had go rotten with new timber. I then cut down to size a treated 3×4 inch timber, giving a slop away from the window and cutting a grove on the under side for water dispersal. I then use wooden trim around the glass and sealed with frame sealant. The sill was screwed on from inside the window using 120 mm screw. 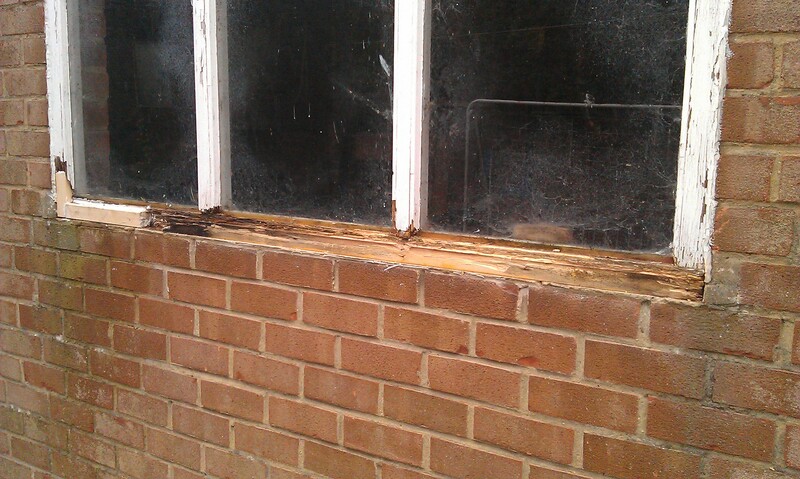 Rotten wood is removed and the old sill. 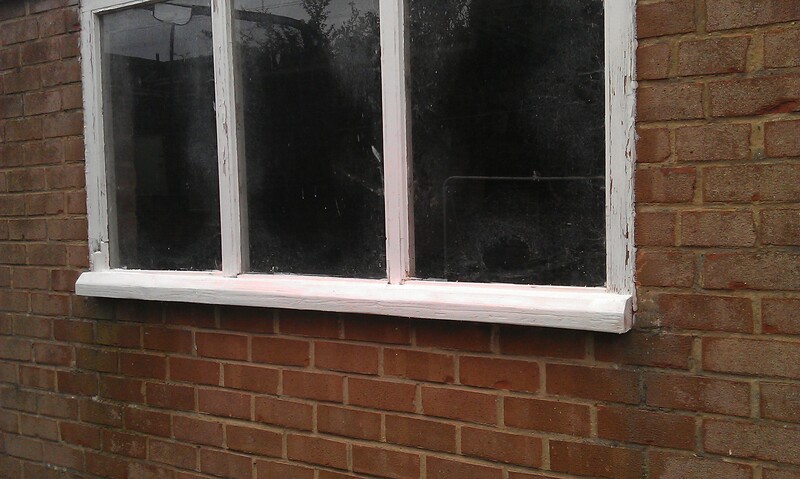 Sill replaced on window which was cut down to size an shape from a 3×4 treated timber. Just needs frame sealant applied & top coat of gloss exterior paint. Look great and the customer didn’t need to purchase a new window. Job done at the fraction of the price!